There are few voices that have been so prophetic and formative in my own life as that of Leroy Barber. 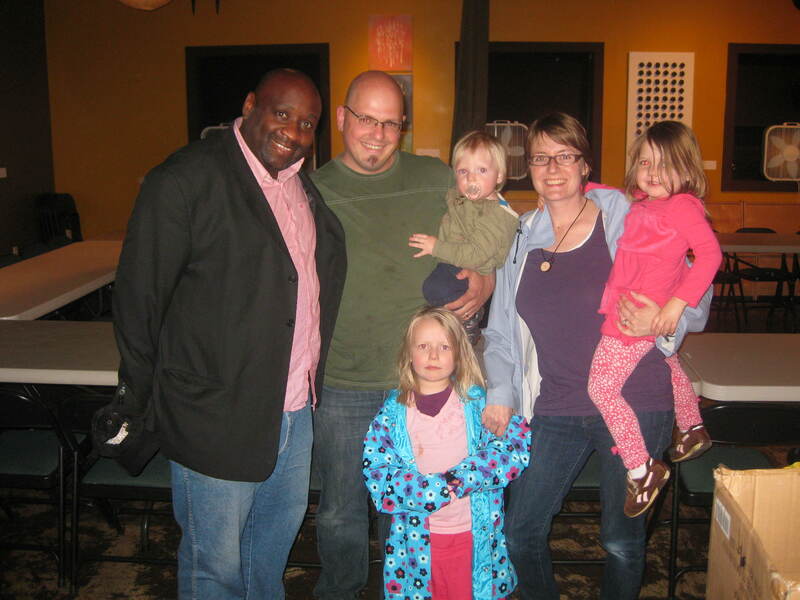 About eight years ago my wife and I did a program called Mission Year in Atlanta and Leroy was our director (Mission Year is a one year long urban mission program which seeks to incarnate the love of God in an inner city neighborhood). Leroy was someone full of energy, enthusiasm, wisdom and challenging insights. During my time in Atlanta I had to face parts of myself and had to wrestle with ways l had benefited from white privilege and I had turned a blind eye to systemic injustice. Leroy was a gracious mentor and friend through the process, sometimes issuing challenges, other times dispensing wisdom and always listening and eager to pray for me. Some of my favorite memories of my time in Atlanta were sitting over grits and pancakes at a local breakfast stop and talking with Leroy about what was going on in my life. A lot of my thoughts on leadership, ministry, marriage and life are heavily influenced by my friend Leroy so I am glad to commend his book to you. So here’s what I want you to do, God helping you: Take your everyday, ordinary life–your sleeping, eating, going-to-work, and walking around life–and place it before God as an offering. Embracing what God does for you is the best thing you can do for him. Don’t become so well adjusted to your culture that you fit into it without even thinking. Instead, fix your attention on God. You’ll be changed from the inside out. Readily recognize what he wants from you, and quickly respond to it. Unlike the culture around you, always dragging you down to its level of immaturity, God brings the best out of you, develops well formed maturity in you. This is what Leroy want to see: ordinary people offering their everyday life to God and being used by him to effect change in a culture that is not always friendly to people on the margins. In his capacity as an urban minister (he’s Executive Director of Mission Year, CEO at FCS Urban Ministries and founded several other urban ministries) he’s seen what it looks like when us ordinary people offer our lives to God and this book is interspersed with stories of people who have done just this. Leroy challenges the idea that it is extraordinary people that do great things for God. Rather it is the people who submit their (ordinary) lives to God and look around to see how God can use them where they are at. And so Leroy casts a vision of how we can do this, encouraging us to take risks about how to reach our neighbors with the love of God. This is what he means by everyday missions. ‘Missions’ is the sort of term that people struggle with because ‘missions’ are often badly done. I caught up with Leroy a few days ago and he said, he wants to rehabilitate the term, reconnecting missions to the missio dei (the mission of God: God’s heart for the world/culture). As we find our life call and step out in faith, what we are doing is connecting our life mission, to the missio dei. One of the things that stands out for me in this book is Leroy’s encouragement to be out of step with our culture. Particularly when you consider systemic injustice means that going with the flow means you are participating in and actually perpetuating systems that hurt people. Leroy sits at the helm of several urban ministries and as an African American leader knows the alarming statistics about how difficult it is for people of color to secure funding for urban mission (this has more to do with historic networks of trust more than blatant racism). Leroy reflects on how far we still have to go as we confront racism and poverty and injustice and he is grateful for those Christians who do not just go with the flow of culture but take a stand for the common good. Churches are still segregated, people of color are often are disproportionately imprisoned. Being out of step with the culture, means choosing to not go with the flow and to take a good, hard look at reality. So read this book and be inspired to offer your ordinary life to God in creative, risky and gracious ways. I know you’ll love Leroy as much as I do!